Mr. Eugene E. Niewirowicz, 72, of 245 Frost Road, passed away on Wednesday, Oct. 17, 2007, at Saint Mary's Hospital after a brief illness. He was the husband of Margaret (Sestilli) Niewirowicz, his beloved wife of 48 years. Mr. Niewirowicz was born in Detroit on May 31, 1935, a son of the late Hipolit and Frances (Grzywinski) Niewirowicz. He grew up in Detroit, moved to Waterbury, and then lived in Southington for 13 years before recently moving back to Waterbury. He was the retired owner and operator of Gene's Plaza CITGO in Hamden. 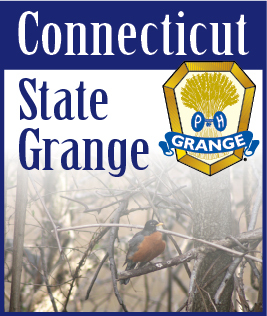 He was a former member of the Connecticut State Grange, former president of the Mad River Grange, former president of the Mad River Fair, former president of the Connecticut Agricultural Fair, a member of the Teamsters, and a member of Solidarity International. He was a communicant of St. Stanislaus Kostka Church and a former president of the St. Stan's Men's Club. Besides his wife, he leaves a son, Paul Niewirowicz of Waterbury; two brothers, Daniel and Marvin Niewirowicz, both of Michigan; a sister, Emily Reina of Michigan; a brother-in-law, John Sestilli of Southington; a sister-in-law, Theresa Chamberlain of Pennsylvania; and several nieces and nephews. The funeral will be held 9:15 a.m. Monday, Oct. 22, from the Fitzgerald-Zembruski Funeral Home, 240 North Main St., Naugatuck, to St. Stanislaus Kostka Church, 100 East Farm St., Waterbury, for a Mass at 10 a.m. Burial will be in State Veteran's Cemetery, Middletown. Calling hours will be held at the funeral home on Sunday from 4 to 6 p.m.